The death toll of cattle in Australia has exceeded half a million head following a massive monsoonal flood in Queensland. More than 500,000 cattle have been killed and another 150,000 in danger of starving to death as a result of the catastrophic natural disaster. Farmers have watched their herds wiped out in a matter of days after the unprecedented floods, which follows nearly eight years of drought. 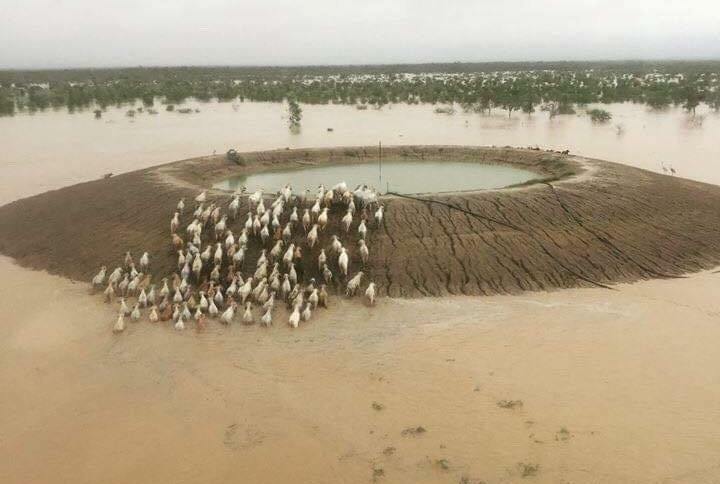 Some Queensland cattle stations remain underwater, while other say they are taking the clean up a step at a time. The full extent of the losses won’t be known for weeks. Australian farmers typically sell cows for AUS$500, and it is estimated that the half a million dead cattle could mean losses of up to AUS$300 million. Farmers are battling to save their remaining cattle after record rainfall this year. The group, which represents Queensland farmers, has sent emergency fodder to more than 150,000 head of cattle that have no other access to feed.